Chris Goodall, 2016. The Switch. Profile Books. 274pp. With so much free solar energy the world is catching up fast in harnessing it day and night. 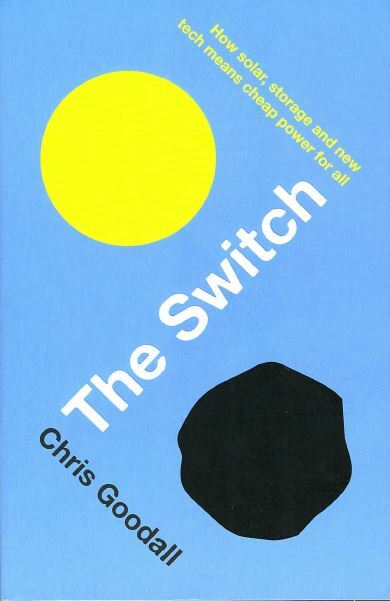 The author, an expert on these matters, puts the case for the inevitability of the global switch and turning over to ever more efficient systems and storage in particular. The switch to a low carbon economy is convincingly told. We learn of the novel perovskites coatings on new PVs that my give an extra 20-25% boost in productivity. The book is a good read on the history of solar production which includes details of main players (and photos of them in black and white), how the ‘experience curve’ provides for cheaper materials, of Swanson’s and Moore’s laws, and all manner of alternative energy sources being trialled and honed. Altogether this is an essential guide to the subject. It has an appendix to figures and terms and an index. There are no references in the book, but reference is made to the authors website (www.carboncommentary.com) which is complete as can be, and offers updates (following publication of this book in 2016) and warns the reader to be wary of columnists in newspapers who get solar stats wrong. A bright future for solars; solar installations in the UK increased year end to June 2017 to 897,135 units, representing 16% growth. There were ten weeks in summer 2016 when solars outstripped coal-fire generation. The share of generation for renewables expected to hit 50% by 2030 (STA). Feltwell, J. 2014a. 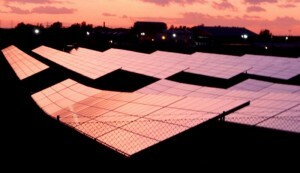 Solar farms: gain or grain? Solar Business Focus UK. Volume 11 – 2014. p.40-41. Feltwell, J. 2014b Observations on the effects of photovoltaic solar panels on invertebrates at Ebbsfleet Farm, Sandwich, Kent 2010-2012. The Newsletter of The Kent Field Club. Number 79. February 2014. p.4-17. Feltwell, J. 2013a. Are photovoltaic solar arrays an influencing factor in avian mortality? The Newsletter of The Kent Field Club. February 2013. Number 77, p.18-27. Feltwell, J. 2013d. Solar farms for bumblebees. Buzzword, The Bumblebee Conservation Trust’s Members Newsletter. November 2013. Issue 23, p.13-14. Feltwell, J. 2013e. Biodiversity on solar farms – building tomorrow’s solar farms. Solar Business Focus UK. Volume 10 – 2013. 6-7. 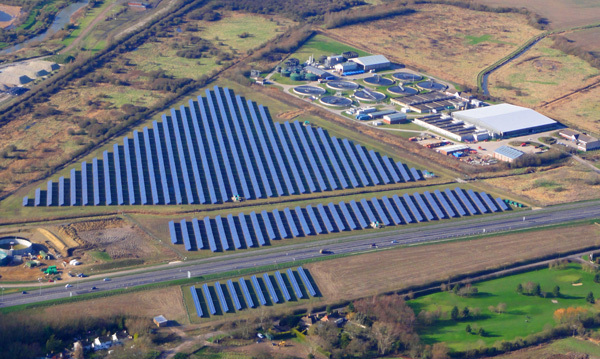 One of over 60 solar farms successfully integrated into the countryside where Wildlife Matters assisted with all ecological issues: Ebbsfleet, nr. Sandwich, East Kent.